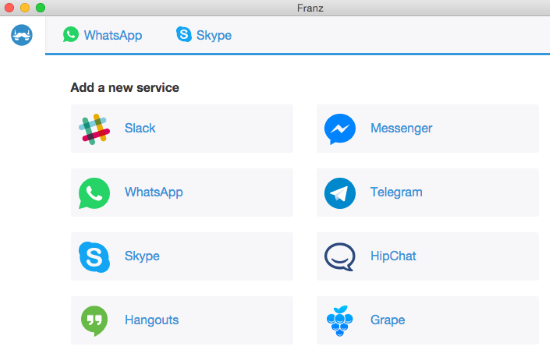 Franz is a free multiple messenger app available for Mac, Windows, and Linux that bundles a lot of messengers and communication platforms in one window. This is an ingenious software that has reduced the difficulty of managing multiple communication services by ten folds. Right now it supports 8 messaging and voice/video call services. They are: Slack, WhatsApp, Hangouts, Facebook Messenger, grape, Telegram, Skype, Hipchat. Now you don’t have to fret about switching back and forth between the distant tabs of Slack and Skype. All of these 8 services are available as tabs on Franz. You can easily add and delete any messaging service on it and rename them to whatever you like. You can also add multiple accounts of the same service. There is no limit to it! Notifications for all the services have never been better. So if any one of the messengers rings up with a notification, you’ll get a notification on Franz instantly. This is an awesome way to receive notifications of all your messengers at one place. So let’s not wait further and check out this awesome free multiple messenger app. You can also check out 4 instant messaging clients for Mac here. The interface of Franz is really simple and it is really easy to use. 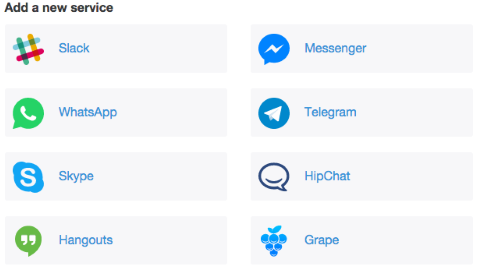 On the main interface, you’ll see all the 8 messenger services that you can add. To add a messenger service on Franz, click on the messenger services you want to add under Add a new service. This free multiple messenger app can add multiple instances of the same service having different signups. Let me show you an example of adding a Whatsapp service on Franz. To add it, I clicked on Whatsapp. 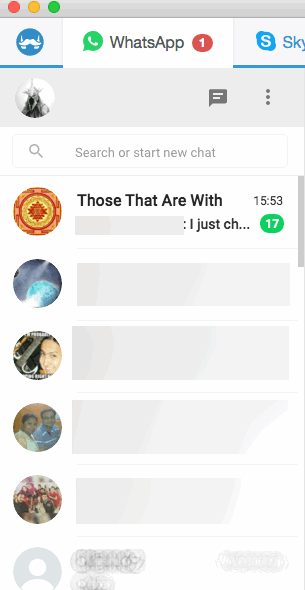 A new dialogue box was opened where it asked for the name I wanted to give to that instance of Whatsapp. I can also toggle its notification on and off. Next, I clicked Save on the dialogue box. The Whatsapp service was pinned as a tab on Franz and can be seen under Enabled Services on the interface. Now, one can easily log into the service like they do normally on the web browser. 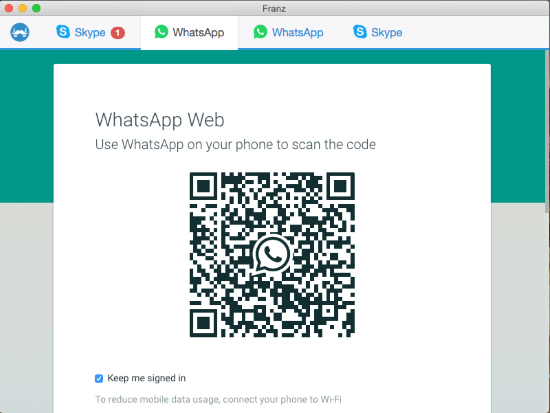 So I scanned the QR code of Whatsapp from my phone and was instantly logged onto Whatsapp on Franz. I did this with multiple Whatsapp accounts and Franz added them instantly. Awesome! If you need to edit added services on this free multiple messenger app, you can do so by clicking the cog button next to the added service under Enabled Services. You’ll see the same dialogue box you encountered when you added the app. You can change the name and toggle the notifications to suit your needs. The notifications can easily be seen on the Mac dock at the bottom of the screen. First of all I would say it is a pity it’s not available on Windows. I hope the developer releases a Windows version soon. This service is truly remarkable. It’s a godsend for people who need to be logged onto multiple messenger services with multiple instances and that too at the same time. I would’ve given this service 10 stars but sadly 5 is the limit. Don’t forget to share your opinion on Franz in the comments if you’ve tried it!